One day this week my 14-month-old woke from a nap screaming one of those screams that you know is not just a "Hey, I'm awake, deal with it!" kind of a cry. I rushed upstairs and found her on her stomach with an arched back, red face and one hand behind her head. On further inspection, I noticed her finger was wrapped tightly in her hair. She must have been twirling her hair while drifting off to dreamland and the hair became so tightly wound that it was cutting the circulation off from her pudgy little pointer. The tip of it was dark purple! The harder she tried to free it, the tighter the hair became, and I'm sure the worse her scalp and finger felt. 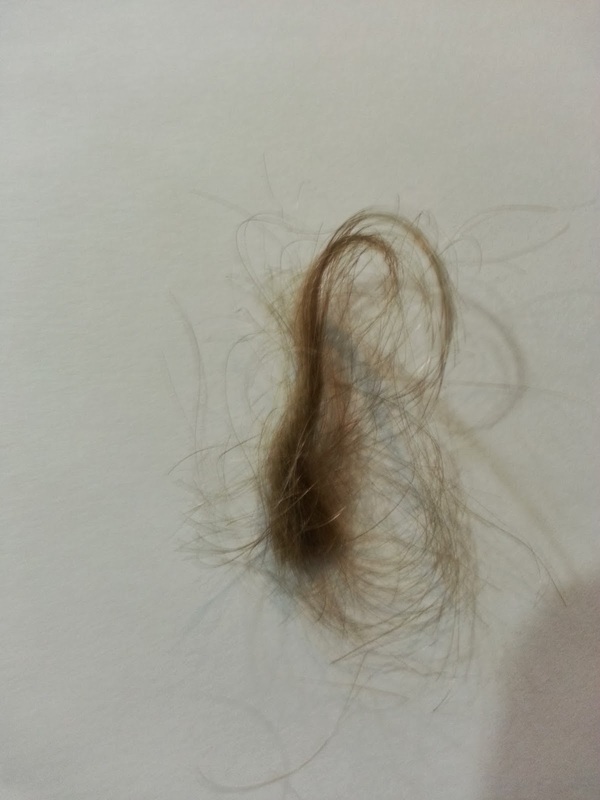 I tried to loosen it with my fingers to no avail and resorted to cutting a two-inch lock of hair off in order to free her. She cried for about 20 minutes, which is very unlike her, so it really shook her up. But, not enough to STOP TWIRLING HER HAIR! As I tried to rock her back to sleep, her hand went right back into her hair. Does anyone else out there have a hair twirler? I have no idea why she picked up this new habit or how to help her break it. 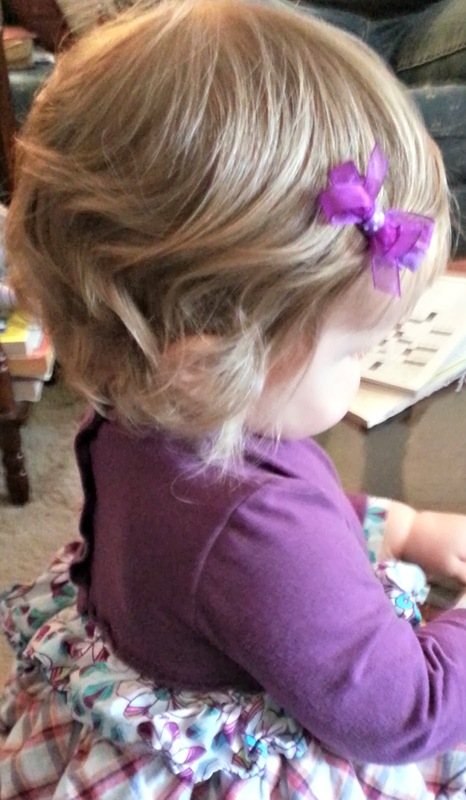 It was probably a freak occurrence, but I would rather not have to cut another chunk out of her sweet little curls again.